It is still dark when meet at the van to start our drive to Kruger National Park. We drive an hour on rough roads before crossing the gate into the park, and just as we reach the entrance we spot a group of elephants disappearing into the trees in front of us. 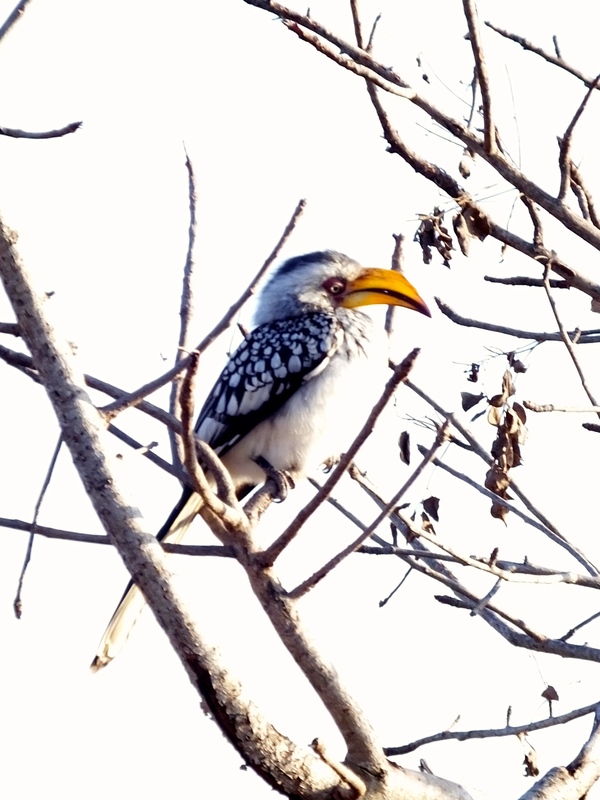 In the trees sits a southern yellow-billed hornbill, the bird that inspired Zazu from the Lion King. It hasn’t even been five minutes and we’ve already spotted our first wildlife. 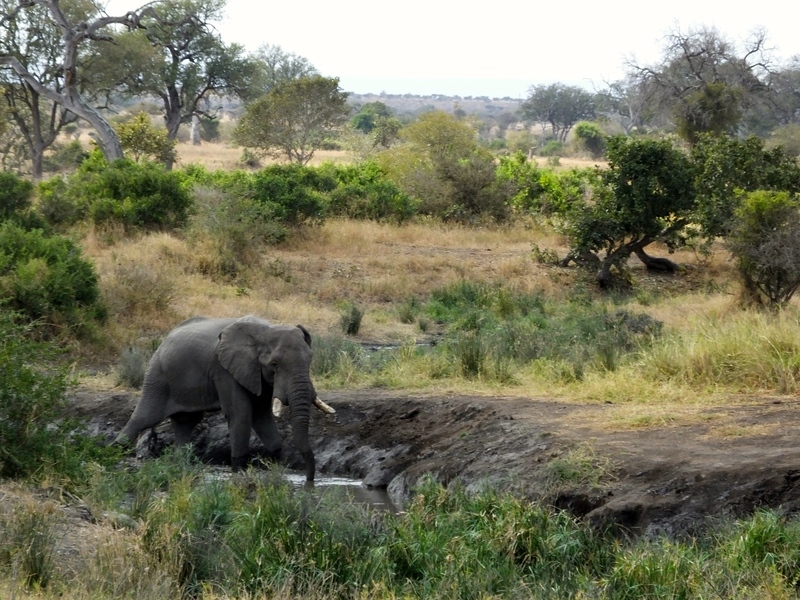 A lone bull elephant stops for a drink in Kruger National Park. The yellow-billed hornbill inspired the character Zazu from the Lion King. We see these often throughout our Kruger game drive. 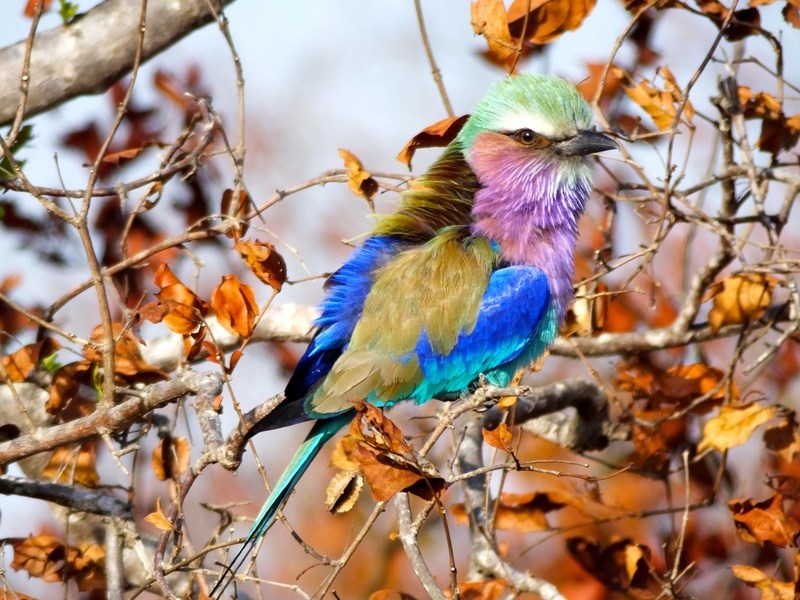 As we start our morning, we pass many different species of antelope such as impala and kudu, giraffes and zebra at a watering hole, and a lilac-breasted roller with its rainbow-colored plumage. At a large lake, hippos spray water into the air as crocodiles sun bathe on the shore and waterbuck drink cautiously at the waters edge. Baboons feed on the side of the road, one a mother with a young baby hanging tight onto her belly. 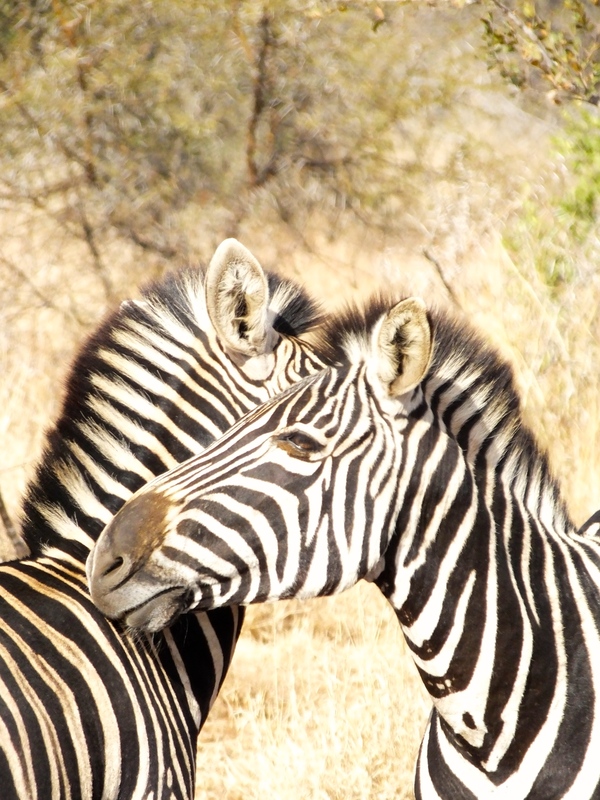 We spot a herd of zebra, and when they turn to the side realize two of the females are pregnant. Small black birds with bright orange eyes feed on flies plaguing giraffe and cape buffalo. Soon we come upon a traffic jam – three cheetahs are sleeping under a tree in the mid-day sun, and vehicles are piled in front, trying to get a view. The lilac-breasted roller was one of the few animals we saw that made no attempt to blend in! 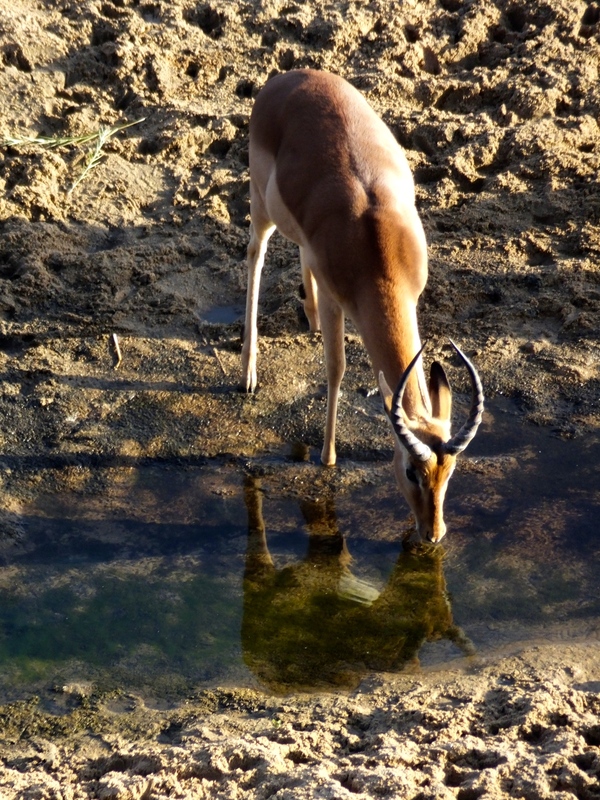 Impala are found in large numbers in Kruger National Park. Many of the animals we saw were pregnant or with young. 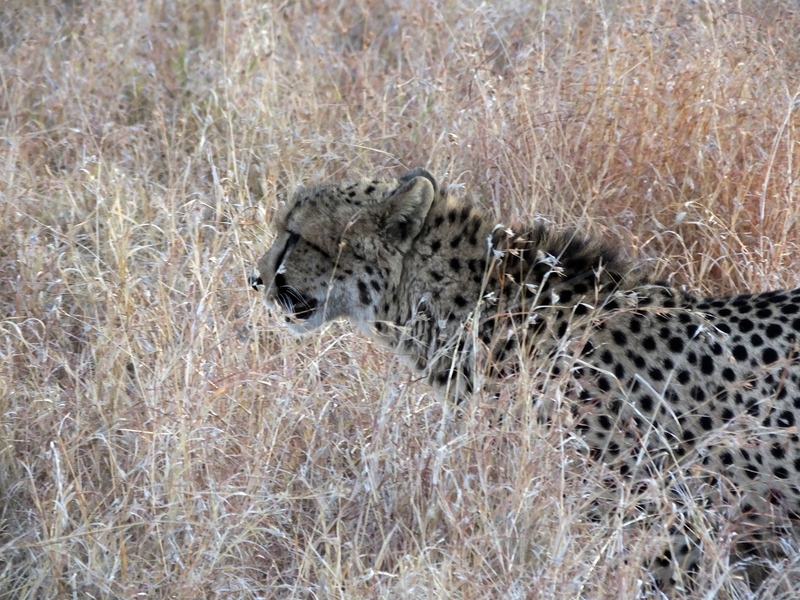 The sight of this cheetah caused a traffic jam on our morning game drive. After lunch, we decide to stay at the park until close instead of heading back to our lodge for an evening drive. Almost immediately we realize we made a good decision, as our guide spots a bachelor group of cape buffalo approaching two young male lions resting in the shade of an acacia tree – a territory dispute. The buffalo line up single-file, and walk directly towards the young males. The lions stand as the buffalo get close, and soon the buffalo form a semi-circle around the lions’ tree. 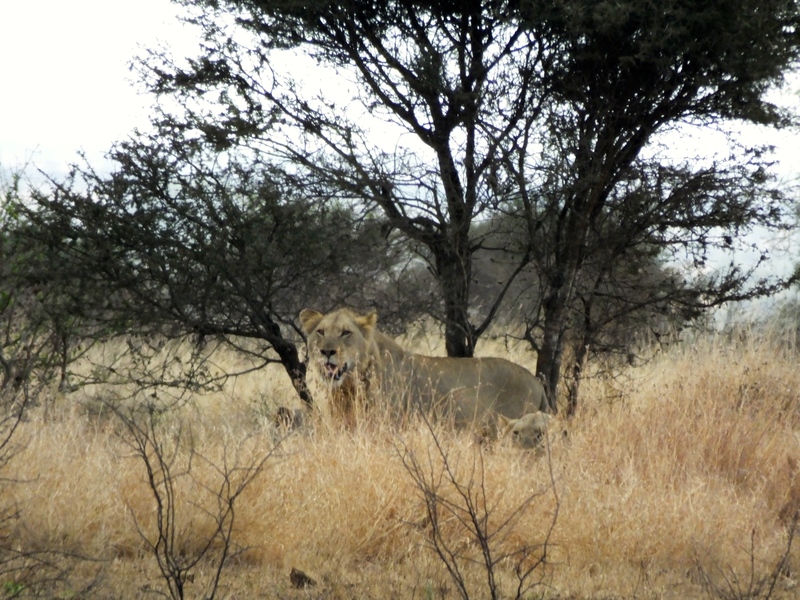 One of the buffalo steps forward – a challenge – and the lions spring into action, snarling and pawing at the buffalo. The buffalo retreat, again in a single-file line, and walk back to the other side of the road. 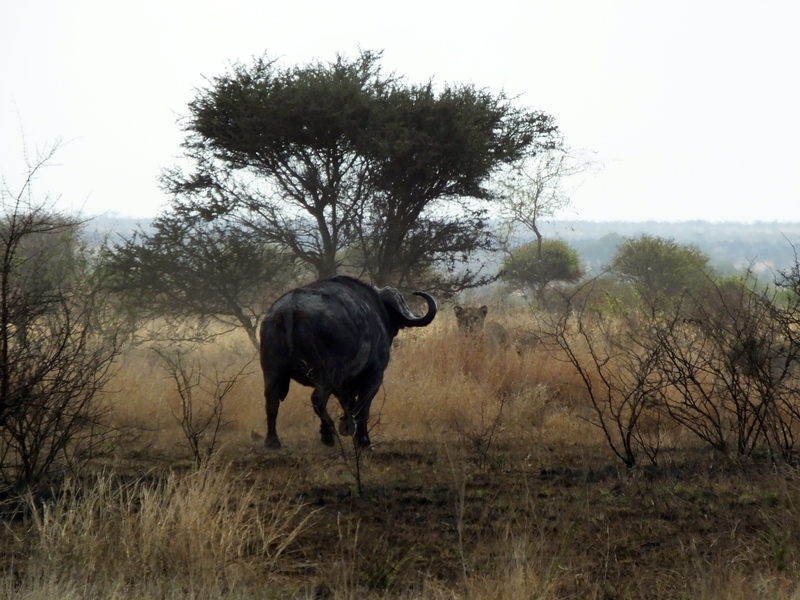 We witnessed a stand-off between a bachelor group of Cape Buffalo and two young male lions. The buffalo were fearless as they approached the lions, but in the end, the lions held their ground and the buffalo retreated. These two young lions have paired together to stake out a territory of their own. They are likely brothers, or at least close relatives. 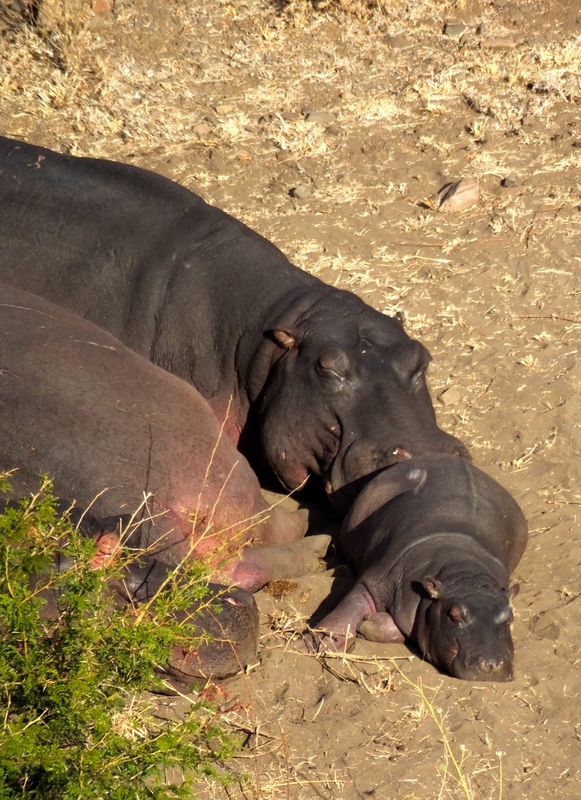 We make one last stop at a river look-out, and see a mother hippo and her young sunning on the warm sand. As we start our drive towards the exit of the park, we come across another traffic jam. 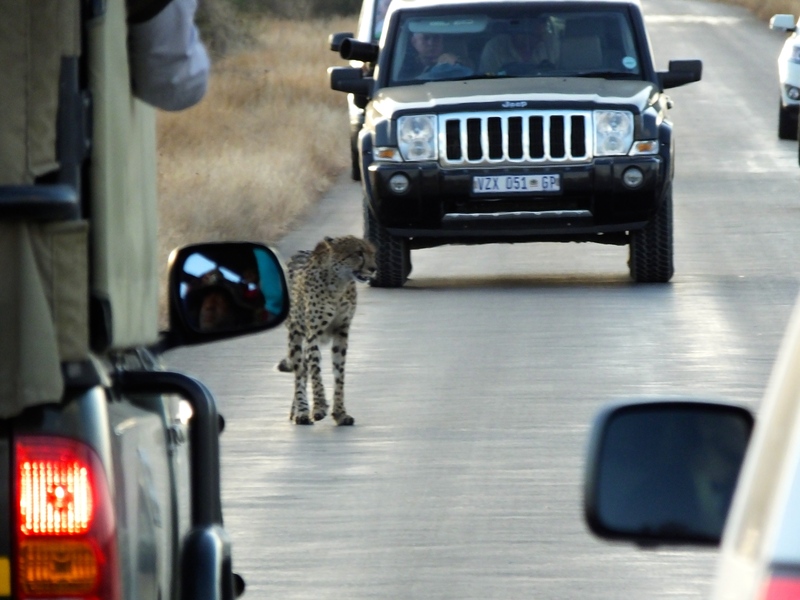 A cheetah is walking down the middle of the road, and cars have backed up 20 yards trying to get a peak. 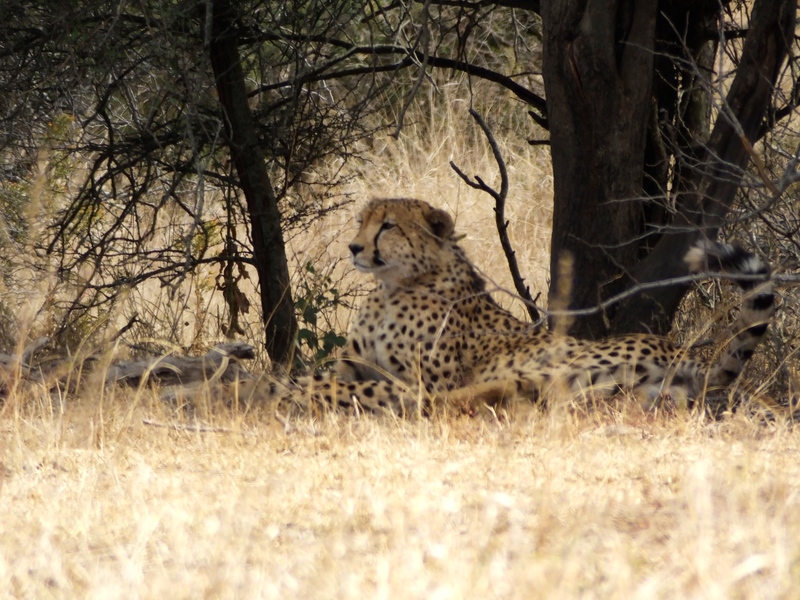 Just past the cheetah, we spot another traffic jam – four lions sleeping under a tree near a river bank. As the sun is setting, and we are approaching the gate to head back to our lodge, a male lion crosses the road in front of our van, casually walking into the long savannah grasses and back into the depths of the park. We hear him roaring in the distance as we stop for supplies to make s’mores. Back at the lodge, we have a traditional beef sausage meal, and end our night sitting by the campfire with the milky way visible overhead. Mother and baby take an afternoon snooze near a river bank. This cheetah did not seem to mind cars stopping to catch a glimpse. 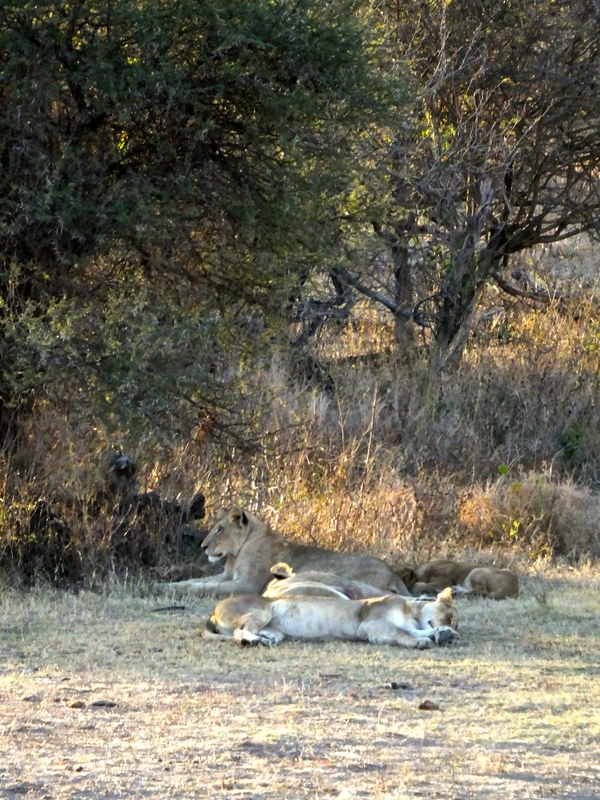 A group of female lions nap under a tree as the sun sets. 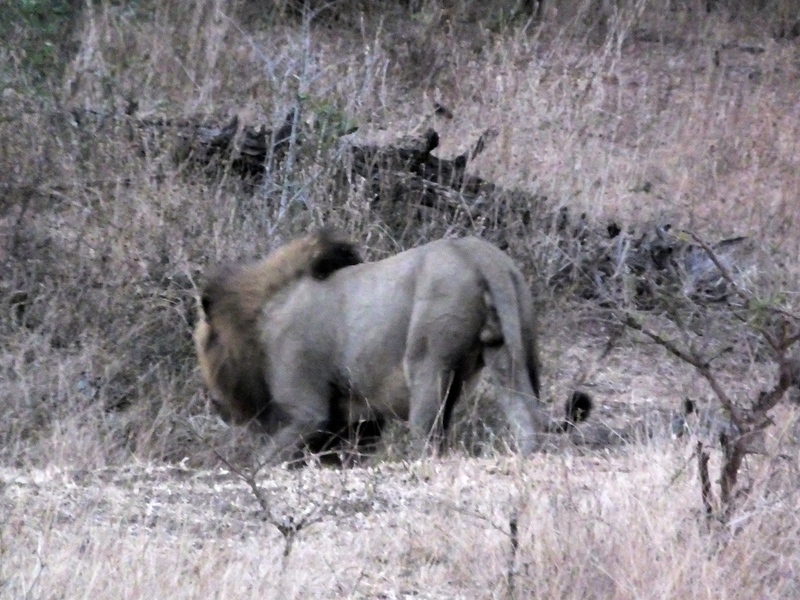 We could hear this male lion roaring as we left the park at dusk. 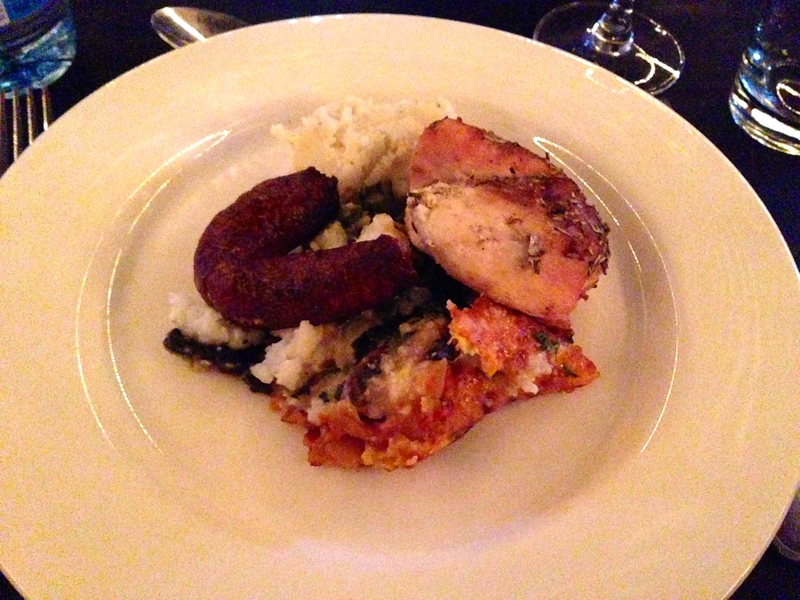 A traditional beef sausage prepared at a braai, or South African barbeque. 20 Jul	This entry was published on July 20, 2014 at 1:26 pm and is filed under Fund for Teachers Fellowship - Southern Africa. Bookmark the permalink. Follow any comments here with the RSS feed for this post.